I’m Minnie Jasper, a sweet, 95-lb, 4-year-old gal who loves, loves, loves to be with people! I grew up with lots of children – so many that my family didn’t really have time for me. That may have spelled loneliness for me, but it’s good news for you because I am great with kids. Cats, not so much. And I can be picky about my canine friends, although I get along great with Foster Mom’s dog. 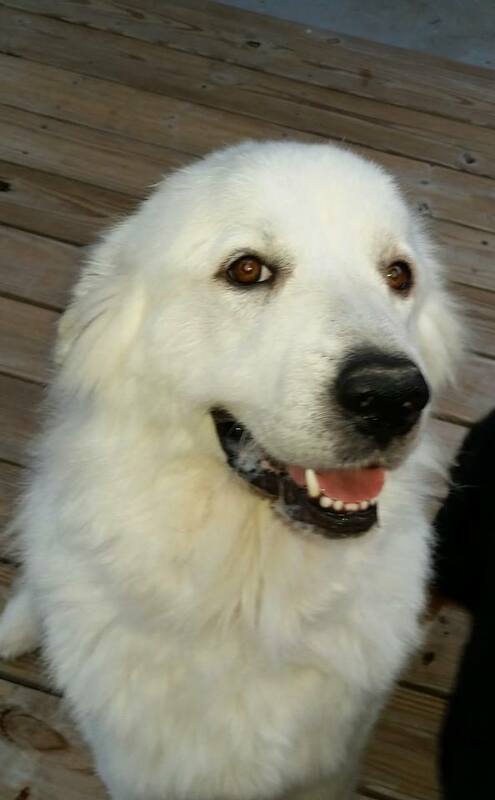 I’m on the hunt for every Pyr’s dream – a home where I am a cherished, integral part of the family. My house-hunting list includes: frequent snuggles; lots of gentle praise; and a sunny spot where I can lie and be lazy. I have some minor (but not major) separation anxiety. When you leave the house, just open the blinds so I can see outside and hand me a Kong filled with peanut butter to keep me occupied. Hey, it’s all about the right bribes – uh, motivation. Do you think you can handle that? Do you need a giant lap warmer? (After all, winter is here.) Then what are you waiting for? Get on the horn now and contact GPRA today.